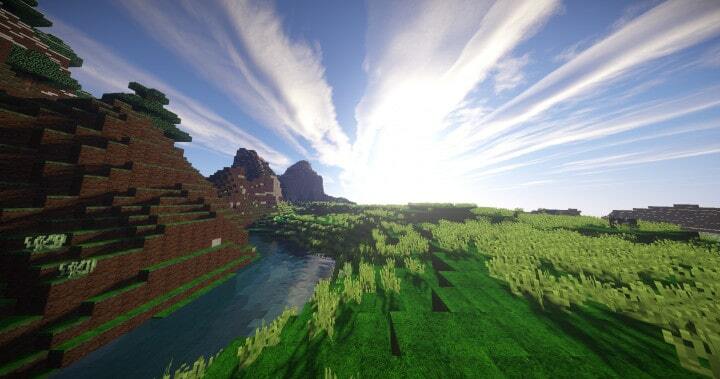 The birth of the Realism – Fantasia Resource Pack, which happens to be amongst the most lifelike resource packs ever, has marked a sensational moment in Minecraft’s world. Although it is a rather simple name, it will do something to the world which isn’t simple at all This lifelike pack, as compared to any other similar pack, is able to enliven your world thanks to its fantastic atmosphere, attractive textures and so on. It has only been a year since this awesome pack has been launched and already it’s accepted as probably one of the most attractive pack around for Minecraft. Here we like to mention one remarkable aspect about this pack that it is able to run at a resolution of x256 which is undoubtedly quite high. However, it has got one downside that unless Minecraft is installed on a fairly powerful computer, it is very difficult to run it Nevertheless, you will find it quite enjoyable in case your computer is able to handle this pack. The creator of the pack happens to be none other than Noxie. Frankly speaking, it is going to enliven Minecraft’s world by making it appear absolutely realistic. Apart from the appearance, it will also depend largely on your feelings regarding the pack. You might have some affinity for the ore blocks’s texture such as the diamond texture which appears incredibly stunning and also luxurious. Apart from that, the Redstone, lapis and emerald block also appeared amazing which might be due to the reflectivity and glistening while you glance at them. Additionally, you will also come across ore blocks which aren’t the pack’s primary character. Most probably, it is the wooden one which exactly represents the pack. As a matter of fact, they appear so lifelike that you could even compare them with the real ones by doing a Google search! Noxie asserts that Minecraft’s world has been enlivened significantly by this resource pack and although it might appear to be an exaggeration, it actually isn’t considering the fact that Minecraft looks really incredible thanks to this pack. There are lots of features which can really fascinate you especially the amazing details found in the textures. As a matter of fact, only several things have been modified in this pack which is not yet fully complete and one can expect some more updates in the upcoming days such as fonts as well as particles. 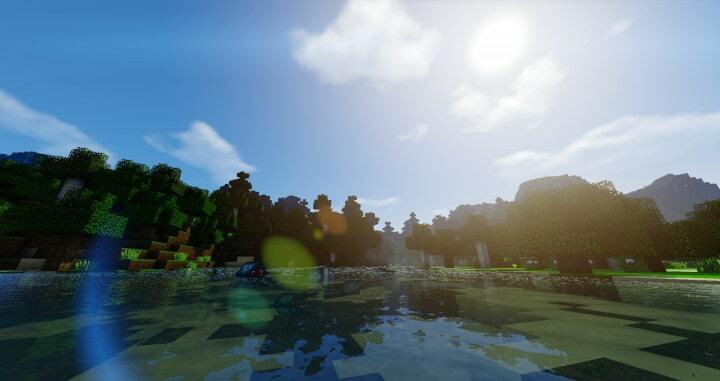 The Fantasia resource pack synergizes with the Seus Shader pack very well and therefore it is advisable to make use of both of them together which will definitely enable the gamers to enjoy playing Minecraft in a much better way than in the past. In this particular combination, the sceneries are astounding, the atmosphere is full of detail, the color palette is flawless and in general, you will come across lots of visual elements which will guarantee you of unending entertainment. Apart from a couple of tessellation issues in some places which are almost negligible, you will not come across any recognizable glitches with this pack and as a result, there is no reason for you to be concerned. *Credit for creating and developing Realism - Fantasia goes to Noxie. It is designed and compatible with the following minecraft versions: 1.8. Right now Realism - Fantasia has 235199 views.